The zebra dove, also known as barred ground dove is a bird of the dove family, Columbidae, native to Southeast Asia. They are small birds with a long tail and are predominantly brownish-grey in colour with black-and-white barring. They are known for their pleasant soft, staccato cooing calls. Zebra Doves roost at night high in trees and seem particularly fond of roosting in coconut palms found in the Malay Peninsula, Sunda Islands and the Philippines. 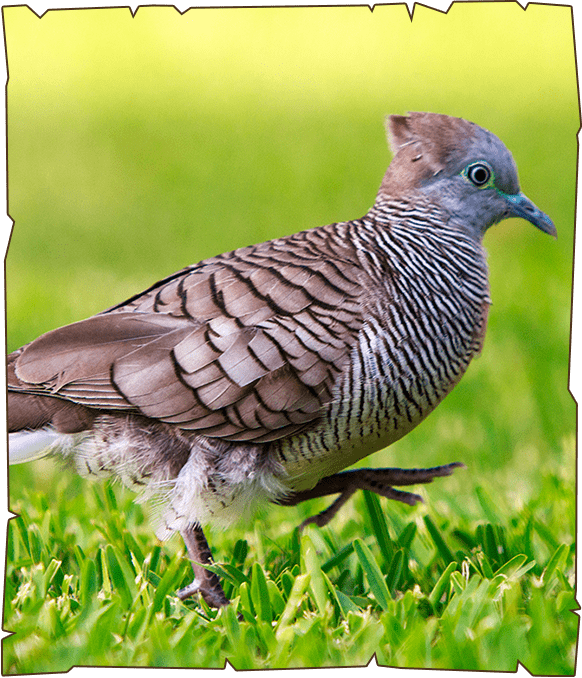 The Zebra Dove is popular in captivity and many populations have appeared outside its native range due to birds escaping or being deliberately released.